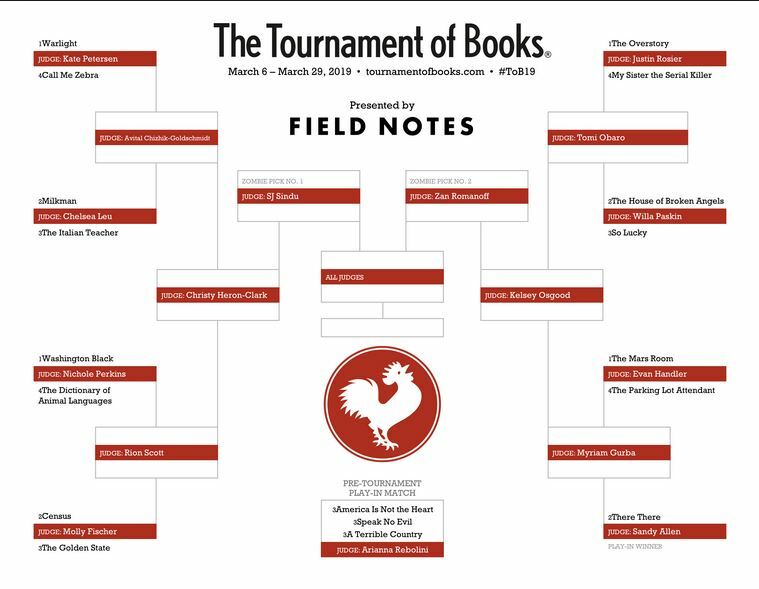 If you love books and you love brackets, make sure to check out the 2019 Tournament of Books! This annual March program is run by The Morning News and includes discussions and evaluations of popular fiction books. The panel of judges includes an assortment of critics, editors and writers, who whittle down the original group of books each week until an ultimate “winner” is chosen. We’ll keep the bracket updated here at the library, while the books selected can be found on display across from the Fiction/AV/Teen Services desk until they are checked out. Enjoy perusing the lists and finding new titles to explore.